One of the struggles that I constantly find when I am on the road, especially in rural areas of countries like Mongolia, India or China, is the lack of proper bathrooms: clean, with sinks and running water. I remember traveling through Mongolia, where the bathroom used to be a hole in the ground, surrounded by a small fabric not higher than my waist. Every morning, I had to brush my teeth behind the ger, near the camels and the goats, using bottled water and trying to keep my toothbrush as clean as I could. And being a very clumsy person as I am, that was a hard task. The other day I received the Sonic Chic Urban Electric Toothbrush to test, a toothbrush made for traveling: compact, lightweight and with a stylish design. I loved the design from the first moment I’ve seen it. 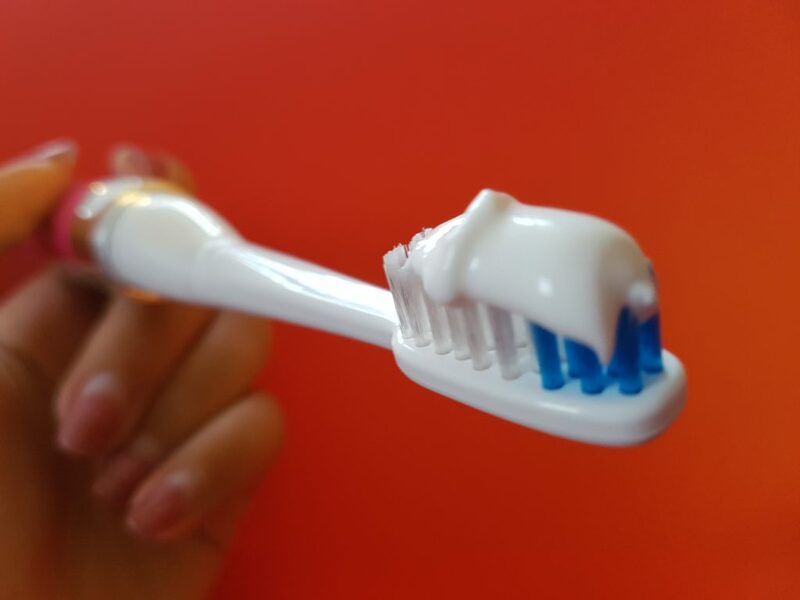 It is smaller than a normal toothbrush and it’s protected by a ventilated cap, so that even if your shampoo spills in your toiletries bag (which happened to me several times), your toothbrush will remain clean and germs free. It comes with a replacement brush head, a battery and instructions. It is very easy to use, all you have to do is put toothpaste on it, press the button and brush your teeth as normal. I have noticed that the brush head is soft and gentle, which is perfect for my sensitive teeth. The head brush is also small so that it gets to hard to clean areas that you wouldn’t be able to reach a normal sized toothbrush. The toothbrush has a speed of 22,000 strokes per minute, and after I brushed my teeth with it I noticed a clean and fresh feeling that lasted throughout the day. 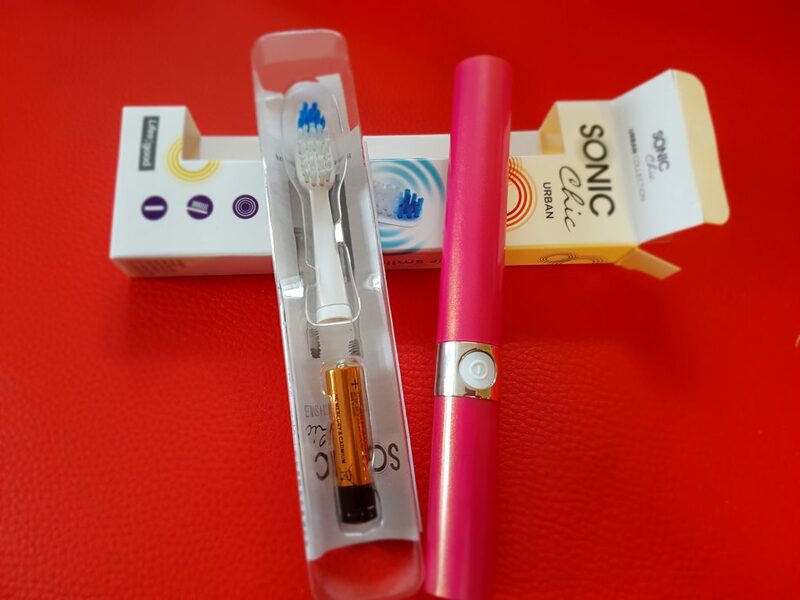 Another great advantage of the Sonic Chic Electric Toothbrush is that you can put it anywhere in your bag without worrying that it will get dirty. When you finish brushing your teeth, you can simply put it in a standing position while you rinse your mouth. No more falling off the sink or even on the ground, in the wilderness of Mongolia. Besides the functionality of the Sonic Chic Electric Toothbrush I love that it also comes in different designs, to match the personality of the owner. You can choose from a range of stylish patterns inspired from the catwalk fashion trends. You can read more about the Sonic Chic Electric tooth brush here. You buy it online from various websites for £9.99. Disclaimer: Please note that I received the toothbrush for free to review it. However, all comments and opinions in this article are my own. I’m a big fan of the pink case and soft bristles 🙂 I wonder if they sell them in Dubai yet…. Love the desig of this toothbrush. It will be ideal for when we go away. It’s the first time I ever heard of such product. This is great for the environment too because you no longer have to avail of those cheap hotel toothbrushes only to dispose or leave them there afterwards. Loving also that it’s very nicely packaged. What a cool idea! Pop in into your makeup bag and you’re ready to take on the world! I’m a sucker for anything pink so it’s safe to say I love it! The design is a very creative idea! 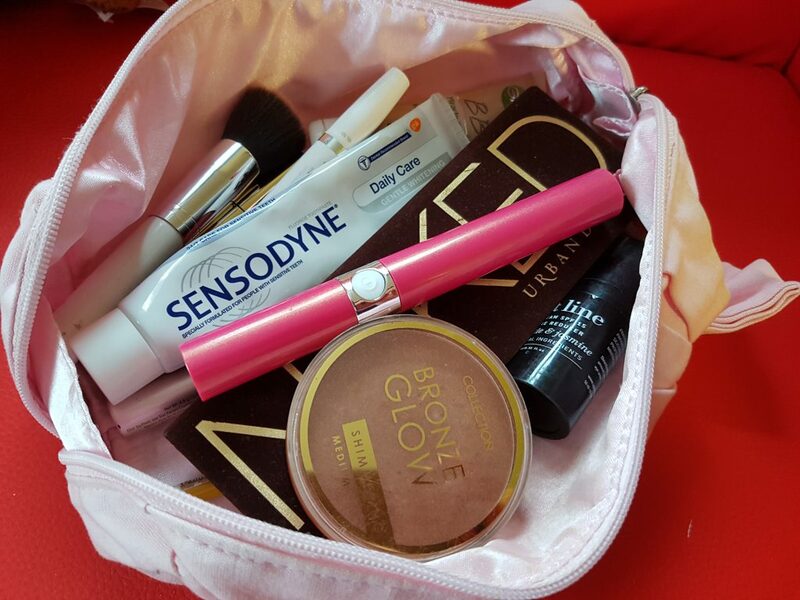 In a travel bag and for every day-using… It’s a toothbrush definitely made for traveling. Great choice! Have a nice new week! I actually haven’t tried using electric toothbrush yet but this one makes me eager to try one soon…and it’s very portable too! I’ve never seen an electric toothbrush that’s compact as well. I love it. I enjoy traveling, so this is great. It’s nice that there are different designs. Maybe I’ll order one for my next holiday! Nice! It’s compact AND pretty 🙂 And yes, I don’t want your toothbrush falling in with the camels in Mongolia! I’ve never used a toothbrush like this, but it looks very lovely, I like the design. This got me a bit intrigued, so thanks for sharing! I like the idea of bring one of these on my trips. It’s perfect and not clunky at all! I like the fact that I can put the toothbrush anywhere in my bag. What a cute little toothbrush for traveling! I kinda want one now. That’s one cool toothbrush. It sure is handy especially for a traveller like you. I also checked their website. There’s a deluxe version where you can charge the toothbrush via USB. So far, that’s (the deluxe) the most unisex version of their electric toothbrush. Wow this toothbrush is fantastic, mine always gets dirty when I travel so this would be perfect and would stop me having to buy a new one! I had an electric toothbrush when I was I kid and never knew they would come up a travel size version. 🙂 Definitely love the pink color! I’d still prefer the old toothbrush since I can have better control in cleaning the corners of my teeth. It’s amazing how compact it is and it can fit in our kikay kit. Very chic and pretty brush! I’ll try to purchase that. Recently, toothbrushes has been evolved from the traditional to the electric ones. I love this, i hate having to take my toothbrush in a plastic bag when ever we go away this would be so much better plus i love the colour. Love how compact it is and it’s perfect for traveling indeed. I always have a grooming kit in my bag, and it always includes a toothbrush. This is perfect! Seems like the perfect toothbrush for taking on your travels! I have seen that toothbrush in trade fairs in China several times but for the life of me, because that was never my line of business, I could not figure out why anyone would buy a toothbrush like that. AND NOW I understand. Yes, I agree, the way you put it, I can now see one big advantage – mobility. You can bring it and it is very convenient to use, plus very practical. Looks like a high tech toothbrush. Where can i buy that? i like to carry it with me and use it in an emergency situation. Looks like useful to me. Oh, a travel must have! Would love to try this one out too and bring it for travels. Though I don’t have the luxury to travel that much. Nevertheless, I still want to try it out. Thanks for sharing! This toothbrush seems very handy, mine always gets dirty when I travel, this one looks perfect especially now that im on holiday. Looks like a great toothbrush. It is much smaller than our electric toothbrushes and I would really like that. Oh that’s a really compact one! Most electric tootbrushes are bulky and not travel friendly, this definitely adds something of value! Love the color too! By sonic, how does that work exactly? Does it vibrate or emit sonic waves that clean your teeth? It looks super slick and chic, though! So chic! and pink! It’s really a good option compared to the usual traveling toothbrush available in the market. I loved the chic design of this toothbrush. We also have an electronic toothbrush but it was too bulky. 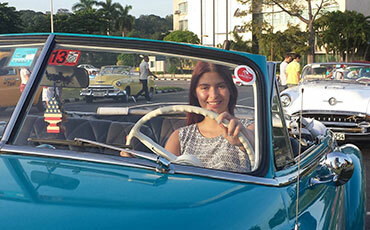 Yours had a sleek and a travel-friendly style. I love the design and the color! Plus the fact that it is travel friendly. It’s been my childhood dream to have this kind of toothbrush. If the brand is available here in the Philippines. I would check it out 🙂 Love to have one! This is great! I’m never really picky when it comes to toothbrushes, but hey, I’ll make sure to check this one out! Awesome post! There are a bunch of electric toothbrushes here in the Philippines but I have not heard of this brand yet. It looks really nice and effective and I hope they ship those here. I love this toothbrush! It’s ideal for traveling. I always worry about my toothbrush getting dirty, when I travel. This looks so practical! Small, but effective. Elegant too!! Ha, ha. I will definitely try this! Thank you. This toothbrush can also be used during camping haha. I love that is a compact size toothbrush, perfectly made for someone who travels maybe a lot. Looks like it’s a great quality toothbrush. I’ve heard about this one. Sounds amazing. 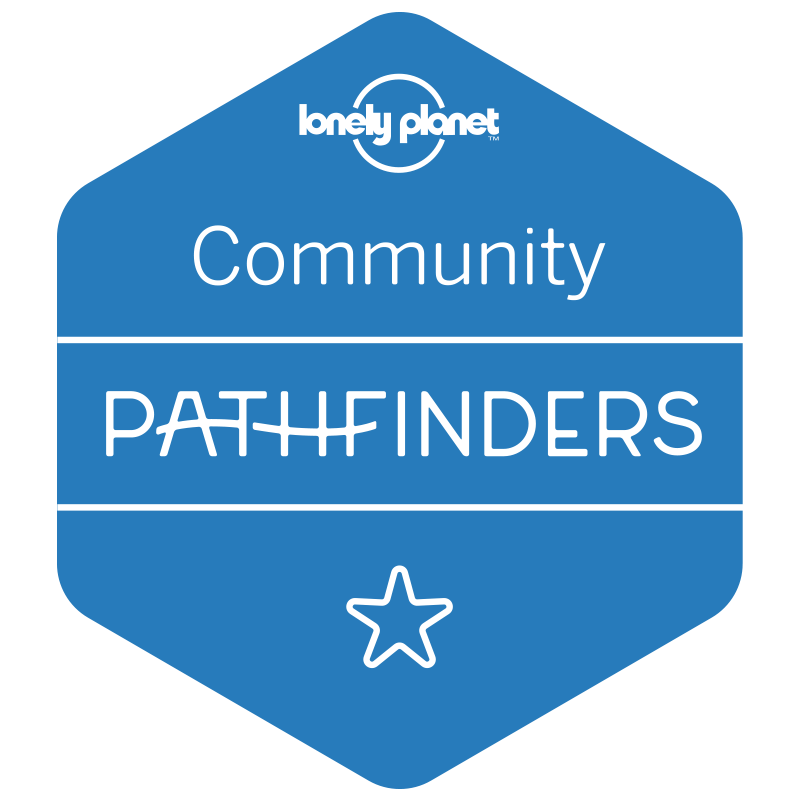 You’ve done a lovely write up! I do a lot of traveling myself so I’m always eager to hear about products that make it easier. I know that when I have a layover after a long International flight, my first stop is the bathroom to brush my teeth, reapply deodorant and wash my face. I’ve never even heard of that brand. I love my sonicare, but this would be a good alternative since it’s so small. I have this! I love it. Mines spotty though. So small and fits into luggage so easily. Looks more stylish and nicer than a usual Colgate or something. That is such a cool idea. When I travel I miss my sonic toothbrush. Now can have it all the time. Does it come in purple? I love purple. This is fabulous, what a brilliant idea and so cute, useful and compact. Still thinking my brains out at the beauty of suh toothbrush, adorable and the pink got me liking it more. This looks like a great contraption and extremely useful especially in case your are on a hike or in the interiors and camping out etc. That looks like a great toothbrush! I do find that my teeth feel clean after using an electric toothbrush. But I like how this one has a top so it’s easy to keep clean. Easy to pack and no worry of it getting dirty. Nice review! 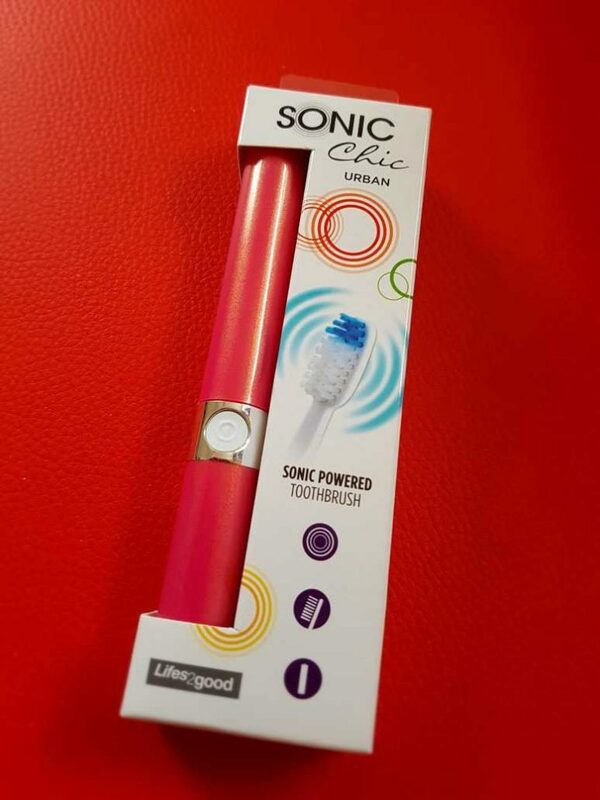 The Sonic Chic Electric Toothbrush sounds amazing for traveling as well as its bristles look soft and grip looks comfy to hold!